Back in 2008, my brother Matthew gave a practice homily on the Holy Family in preparation for the priesthood (he is now only a semester away!). I would like to share it with you on today's feast day. For the past few weeks, we have been so intensely focused on the coming of Jesus Christ, that today the Church invites us to take a step back and look at a larger picture: The Holy Family. The Son of God, in His Divinity, could have come to us full grown and alone. Or he could have come as a child under the protection of some royal court. Instead, he chose to come to us in the midst of the most fundamental dynamic in human life: the family. The first thing Jesus sanctified by his presence was a family home – the poor cave Mary prepared for Joseph and their newborn Son. The first instrument he uses to draw men to himself is the family. Notice how this Holy Family immediately attracted the wise men and the shepherds to come and adore the Infant Jesus, because Jesus was at the center of their life. In this way the Holy Family is the greatest example we have ever been given for how our own families should be formed: centered on Jesus. Does the joint witness and holiness of our family draw others to us and therefore to Christ? Is He the center of our family life? A little examination of conscience for our family as a whole is important for us to do today as we reflect on the Holy Family. 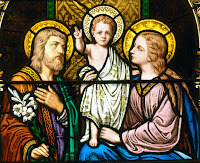 For the rest of the homily, see The School of Mary: "Homily, Feast of the Holy Family, Year B". I hope that you will read it and leave him a few words of encouragement. On the last day of 2009, I made a post about the new Tron: Legacy movie and how excited I was for it to hit the theaters, considering how mind-blowing the original Tron movie was for me when I was a kid. Well, last Friday I finally got to see it. It has received some bad reviews, but I thought it was ... AWESOME! Perhaps I'm not as much of a discriminating viewer as your average movie critic. Oh well, I usually don't agree with secular movie critics anyway. There's one scene towards the end of the movie that I completely geeked-out on. I could hardly contain myself, it was so freakin perfect. I don't want to spoil it for you, so I won't say any more, but if you've seen the original movie more than once you'll know exactly what I'm referring to. If you haven't seen the original movie yet, you definitely should. You don't have to see it in order to get what's going on in the new movie, but if you do then you'll appreciate Legacy a lot more. Thankfully, the entire movie is on YouTube, in 9 parts. Start with Part 1 and once it ends, YouTube will queue the next Part in the series. Also, here are the 3 official trailers for the new movie. Watch these and then tell me you don't wanna see it! There are some interesting religious themes in Legacy. When Quorra gets hurt in one scene, Kevin Flynn brings up a 3D display of her genetic code and breathes onto the damaged portion in order to heal her. When my brother and I saw this, we were immediately reminded of Gen 2:7, when "the LORD God formed man of dust from the ground, and breathed into his nostrils the breath of life." Flynn is revered by Quorra as "the Creator." Any program that believes he has a "User" is declared by Clu to be a religious fanatic and is harshly punished. In fact, the punishment is to participate in "the games," which is very reminiscent of the martyrdom of Christians in the Roman Colosseum. Clu was a program created by Flynn to do good, but he eventually turned against his creator much like Satan did. The final lesson of the movie appears to be that, with the power that science and technology give us, there is also the temptation for man to become a god-like figure, manipulating other beings and the world as he sees fit. If he succumbs to this temptation, it will only lead to his peril. Have you seen the new movie yet? Leave a comment and let me know what you thought. For the whole story behind the movies, see the Wikipedia articles for Tron and Tron Legacy. 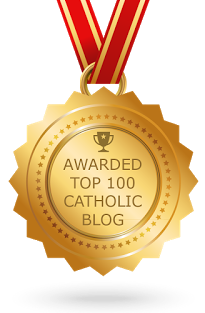 New Trailer for "The Catholicism Project"
Why "Jesus" and Not "Emmanuel"? Why does Isaiah say that the son born of a virgin will be called “Emmanuel” but the angel tells Mary and Joseph to name him “Jesus”? Isa 7:14 Therefore the Lord himself will give you this sign: the virgin shall be with child, and bear a son, and shall name him Immanuel. Lk 1:31 And behold, you will conceive in your womb and bear a son, and you shall call his name Jesus. 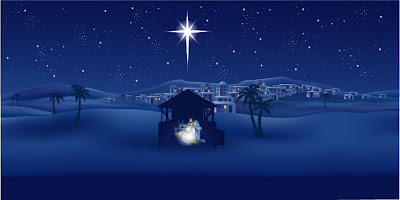 Mt 1:21 she will bear a son, and you shall call his name Jesus, for he will save his people from their sins." 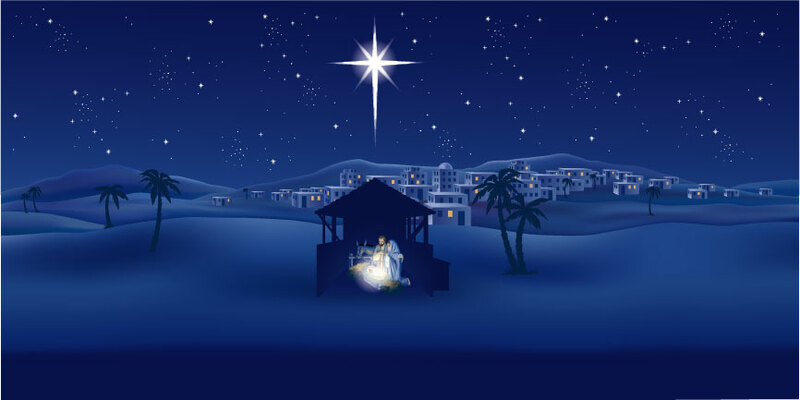 Isa 9:6 For to us a child is born, to us a son is given; and the government will be upon his shoulder, and his name will be called "Wonderful Counselor, Mighty God, Everlasting Father, Prince of Peace." Now, no one reads this and thinks that our Savior’s name should have been “Wonderful,” or “Counselor,” or “Mighty God.” Yes, He is to be called these things, as Isaiah says, but not because any one of them is to be His name. Instead, He is called these things because that’s what He is. These titles speak to the essence of the Son of Mary. “Immanuel” is the same type of thing. Isaiah isn’t meaning to say that His name will be Immanuel. Instead, he is saying that this son truly is “God with us,” just as He is a wonderful counselor, a mighty God, an everlasting father, and a prince of peace.